Sound cage for experiments in sound localization, in Matataro Matsumoto, “Researches on Acoustic Space,” Studies from the Yale Psychological Laboratory, 5, 1897, 1–75: 3. The Max Planck Research Group “Epistemes of Modern Acoustics” studies the history of sound in its dual function as a research object and as an epistemic tool. Individual projects range from the emergence of specific acoustic concepts (such as “auditory memory” or “background noise”), to acoustic norms (such as performance pitch or noise level), to the invention of acoustic technologies (such as sound photography or speech recognition systems), to the genealogy of acoustic subdisciplines as varied as electroacoustics, audiology, and bioacoustics. 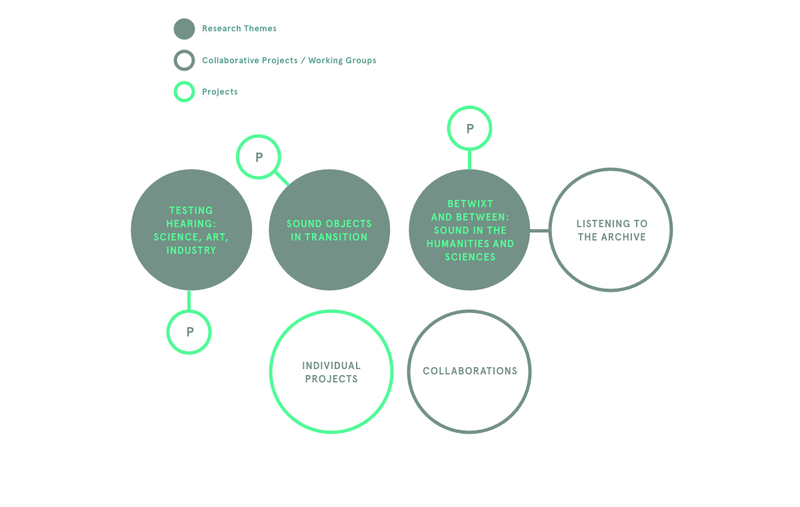 Three overarching themes afford group members larger frameworks to connect their more focused projects to developments that surface on broader temporal, geographical, and conceptual scales. These themes address the testing of hearing; histories of sound artifacts; and the role of sound in the development of the humanities and sciences. “Epistemes of Modern Acoustics” also collaborates with the DFG-funded project “Epistemic Dissonances,” and is building an innovative open access database of resources in the history of sound.